You just received your Blue Cross and Blue Shield of North Carolina (Blue Cross NC) health insurance papers in the mail. No matter how long you stare at them, there is a chance that you still don’t understand what anything written on the documents actually mean. WHAT’S A DEDUCTIBLE? A PREMIUM? A PRE-EXISTING CONDITION? When you signed up for your health plan, you agreed to pay a monthly fee to Blue Cross NC. This monthly fee is called a premium. Your premium stays the same each month until your plan expires. You’ll want to pay your premium on time each month so your plan stays active. “Covered” means eligible to be filed a claim on your plan and that it doesn’t mean the plan will pay 100%. Covered at 100% (such as preventive care) has a different meaning. This distinction is important because this can often be confused. If you ever have questions about what’s covered or not, just call the number on the back of your health insurance ID card. Our customer service team can help. When the Affordable Care Act (ACA) was signed into law in 2010, the government started requiring insurance companies to include what was considered to be essential health benefits. If you are an ACA member, be sure to take advantage of these essential health benefits. For example, see your doctor every year for a physical exam. If you don’t have a primary care physician, use ourFind A Doctor tool. It’s easy, it won’t cost you any extra money, and it will help identify any problems early on. If you cover dependent children on your plan, their yearly eye and dental exams are covered, too. If you had a health problem before your health insurance took effect, then you have a pre-existing condition. Common pre-existing conditions include asthma, cancer, high blood pressure, and diabetes. We won’t refuse to cover you or charge you a higher rate because of your pre-existing condition. Preventative care is an important part of your overall health plan. Don’t let disease sneak up on you. Preventative care might just save your life. Learn more aboutpreventative care for men, women, and children. These are things that aren’t covered by your health plan. You’ll have to pay out-of-pocket for these services. An excluded service may include cosmetic surgery, teeth whitening, or massage therapy. There are other services that will be excluded on any health plan so you want to check ahead of your appointments. Use our Blue Connect Mobile app to track your out-of-pocket expenses. When your health plan starts, you’ll have to pay for the total cost of your care until you reach a certain amount. This amount is called a deductible, and it works just like your auto insurance deductible. Once you reach this amount, Blue Cross NC starts paying a percentage of the cost of your care. Once you hit your deductible amount, Blue Cross NC starts paying for a portion of the covered services you receive. 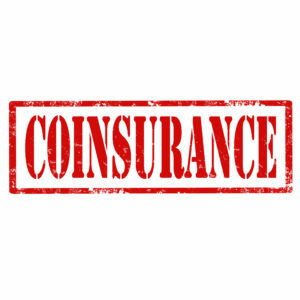 Coinsurance is the percentage we pay, and then you pay the difference in the amount owed. Some plans require you to pay a set dollar amount for each doctor’s visit or prescription medicine you buy. This is called a copayment. Your policy may require you to first meet your deductible. HERE’S A REAL-LIFE EXAMPLE: LET’S SAY YOUR DEDUCTIBLE IS $3,000, AND YOUR COINSURANCE IS 80/20. So if your total bill is $1,000, Blue Cross NC pays $800, and you pay $200. Once you reach your out-of-pocket maximum – in this case, $6,000 – Blue Cross NC covers these costs at 100% until your health plan expires. When you renew your health plan each year, the deductible and out-of-pocket maximum amounts reset. We hope this makes your policy a little easier to understand. As you start using your health plan, call our customer service team with any questions. You can also visit the Understanding Insurance section of the Blue Cross NC website. We want to make sure your health plan works for you!